'गुड मॉर्निंग, नमस्ते आदि की गूँज से कमरा भर गया जैसे ही यह चारों वहाँ पहुँचे। सेंटर के बच्चों से उनका परिचय करवाया गया फिर प्रथम बुक्स के स्टोरीवीवर के बारे में भी संक्षिप्त में बताया गया। ओरेकल के चार इंजीनियरों ने स्टोरीवीवर की एक कहानी का ज़िक्र किया और बच्चों को उसी कहानी की बड़े आकार के प्रिंटआउट दिखाए। बच्चों ने कहानी सुनने की इच्छा प्रकट की और यूँ शुरू हुआ उन चारों का दिन! ​The Oracle volunteer team, beaming with excitement also had a few words to say about the experience. 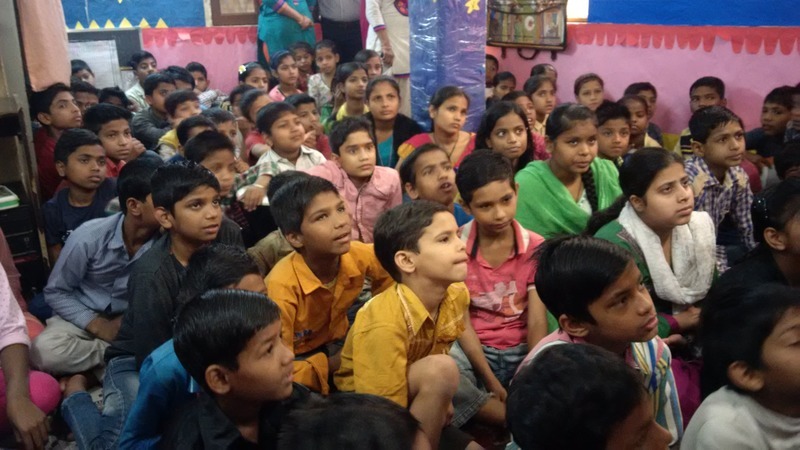 "We had a great time during the community visit to Trilokpuri, on 18th March, 2016. 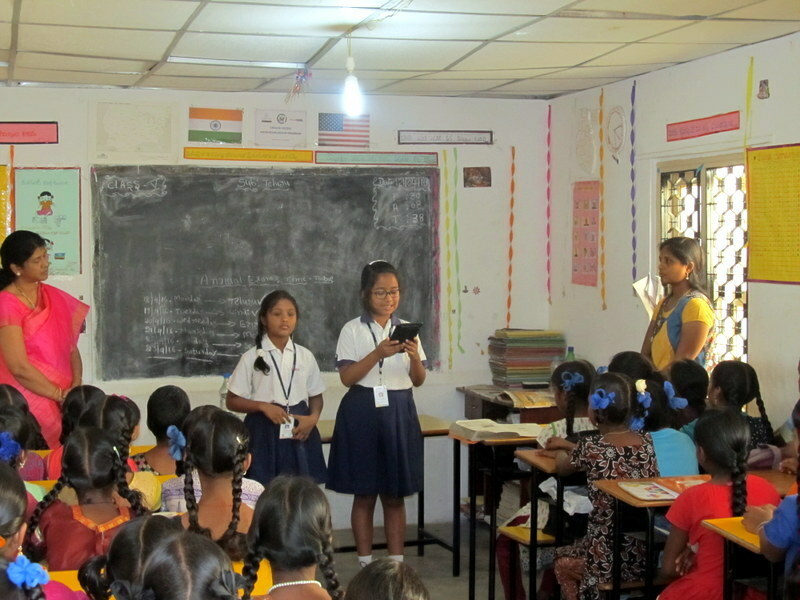 We visited one of the Pratham Centres, where children from under-served sections of the society are educated. 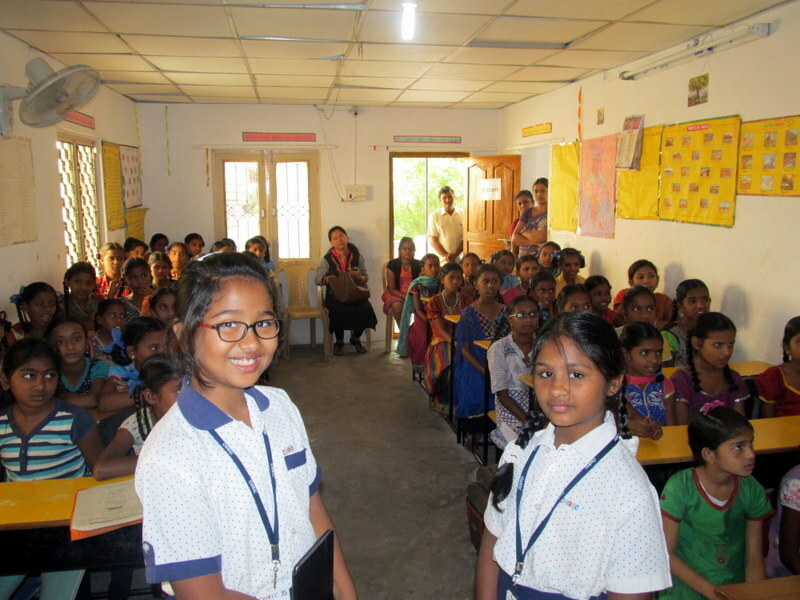 There were around 60 children, all enthusiastic to learn and grow. We did a storytelling session with them, on the book ‘Dum Dum-a-Dum Biryani’. This book is very interesting, simple, fun and creative. Through beautiful artworks and simple language, it conveys messages for kids, to help at home, nurture family relationships, take initiative, share and care, learn and observe. 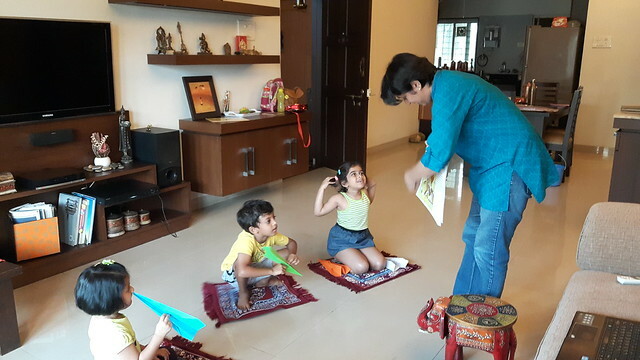 After the storytelling session, we played interactive games with the children, which were designed to teach them Vedic mathematics and basic arithmetic. The kids as well as the teachers and volunteers enjoyed themselves thoroughly. This activity was followed by prize distribution for the winners of the games. We gave extra prizes to those kids who took initiative and helped their teammates. Overall, it was a fun, learning session for all of us. 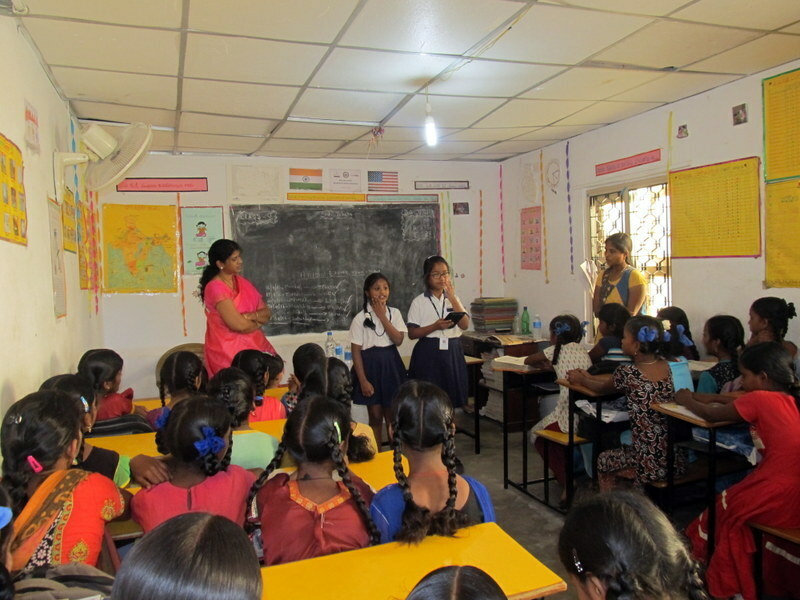 Thanks to Pratham Books and Pratham for organizing this for us. We all look forward to more sessions with them." – Nupur Vimal​, Oracle Delhi. We love when stories make so many people happy! 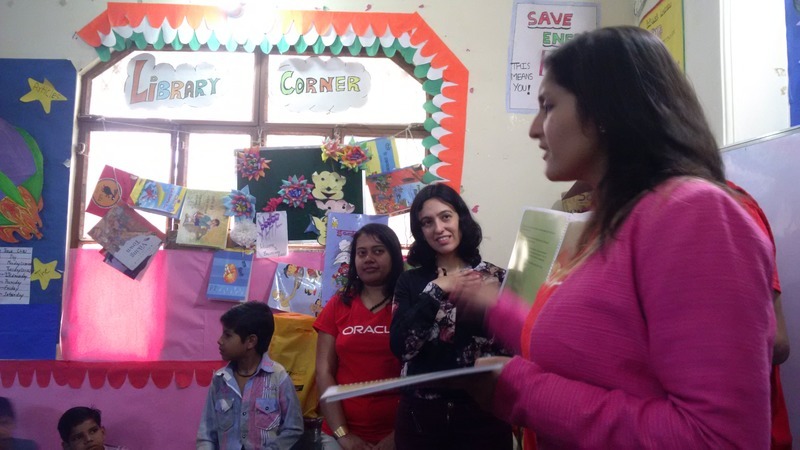 Thank you team Pratham, Delhi for helping us ​take stories to children and Oracle Volunteer Team Delhi, without whose participation, this would not have been possible.